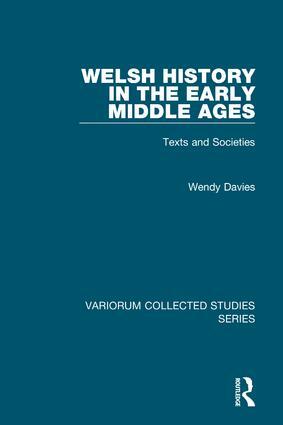 This volume brings together Wendy Davies's pioneering early studies on the text of the Book of Llan DÃ¢v alongside later pieces which explore the place of Wales in the wider world of the early middle ages. The Llandaff studies have provoked much subsequent comment: readers will find it helpful to reconsider what the author actually said about arguably the most significant surviving text for early medieval Welsh history - as opposed to the several published interpretations of what she is supposed to have said. The later work includes much-cited papers on the Latin charter tradition of the Celtic world and on 'Celtic' women; as well as studies of the so-called Celtic church and of the distinctiveness of Celtic saints - in all of which Welsh evidence makes a particularly important contribution. It also includes recent pieces on the environment and economy of early medieval Wales, which highlight some of the crucial new evidence provided by archaeology as well as historiographical issues that attract much current interest. Overall, the author has sought to make Welsh evidence accessible to scholars with interests in other parts of the middle ages and to ensure that Wales plays a part in broader surveys of early medieval Europe. Contents: Introduction; Llandaff Studies: St Mary's Worcester and the Liber Landavensis; Liber Landavensis: its construction and credibility; Braint Teilo; The consecration of bishops of Llandaff in the 10th and 11th centuries; Note on a transcript of the Life of Dubricius; The orthography of personal names in the charters of the Liber Landavensis; Roman settlements and post-Roman estates in south-east Wales; Unciae: land measurement in the Liber Landavensis; Land and power in early medieval Wales; Adding insult to injury: power, property and immunities in early medieval Wales. Wales in the Celtic World: The Latin charter tradition in western Britain, Brittany and Ireland in the early medieval period; Charter-writing and its uses in early medieval Celtic societies; The myth of the Celtic Church; Property rights and property claims in Welsh Vitae of the 11th century; Anger and the Celtic saint; Celtic women in the early Middle Ages; Thinking about the Welsh environment 1,000 years ago; Looking backwards to the early medieval past: Wales and England, a contrast in approaches; Index. Wendy Davies is Professor Emerita in the Department of History at the University College London, UK.